UFO SIGHTINGS DAILY: ALIEN DEMONIC UFO SYMBOL RUSSIA FOUND!!? 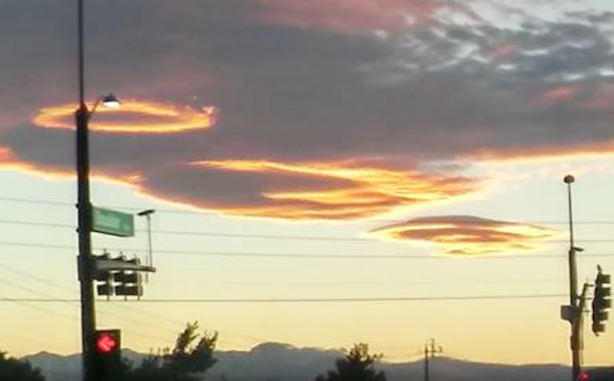 EXTREME UFO WEATHER PHENOMENON 7/14/2016 UFO Sighting News. ALIEN DEMONIC UFO SYMBOL RUSSIA FOUND!!? EXTREME UFO WEATHER PHENOMENON 7/14/2016 UFO Sighting News. Makers of video: ThirdphaseofMoon of Youtube. Here is a cool video that discusses a few anomalies, including a star inside of a circle found on Google Earth and some glowing orange UFOs clouds. Very interesting. Two of those circle clouds do not look natural to me. ALIEN DEMONIC UFO SYMBOL RUSSIA FOUND!!? EXTREME UFO WEATHER PHENOMENON 7/14/2016 Keep Your Eyes on the Skies! We are not Alone! 52°28'47.4"N 62°11'08.7"E Satanic Star specifically for aliens?